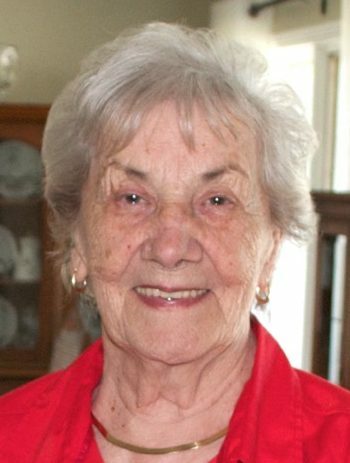 Passed away on July 29, 2018, Doreen Emily Parsons (nee Caines), born June 27, 1929 Port Saunders. Predeceased by her daughter Glenna Lynn in 1989 and husband Chesley in 2012. Leaving to mourn, loving and devoted son Robert and daughter-in-law Cathy, grandchildren Robert and Laura and great grandson Declan, brothers Tom (Barb) and Mick (Ann), sisters Ann Manuel and Gwen Gillam, brother-in-law Luther Williams; sisters-in-law Lorraine Parsons, Ruth Parsons and Stella Caines, and numerous loving nieces and nephews. Doreen lived at Tiffany Village for the past five years and we are most grateful to the staff for their wonderful care and the many new friends she met. To honour Mom’s wishes, there will be no visitation or service. Cremation has taken place with a private interment where Doreen and Chesley will be laid to rest alongside their daughter at the Anglican Cemetery in St. Philips. Happy is the family whose members pray together and work together and know one another’s hearts. They think differently, but their thoughts meet with understanding. They follow different ways, but their actions have a common purpose. The unities of such a family are like silken threads, strong and true, and woven together harmoniously. Very sad about Doreen’s passing. She was a beautiful soul, very kind, giving and loving. I will truly miss her happy smile and the stories we shared. Doreen was a true caring friend to my Mom, Alice Cooper, and I am very grateful for her friendship and time we had together. Just found out about Doreen’s passing today. She was a wonderful friend to my mother Alice Cooper until mom passed at Tiffany Village in February 2015, having lost touch with mom for 50 yrs they were reunited there. She was also a great support to myself and my sister while we stayed at Tiffany Village for long periods of time caring for our mother. Doreen was a wonderful person and she will be truly missed. My condolences to her family. Robert: So sorry to hear about the death of your Mother. Condolences from Richard Dalton and family of Cape Broyle on your loss. I just read this obituary and I didn’t know there was another Doreen Caines. My dad was Newman Caines from Deer Lakeand his dad was Alexander Caines from Birchy Head, Bonnie Bay. I am interested in your ancestors. Who knows we might be related..
We were shocked and saddened to read in the Tiffany Village Obituaries that Doreen had passed away. We became good friends shortly after our arrival at Tiffany three years ago.. our discussions and ‘friendly chatter’ covered many topics, not the least of which was our love of homemaking, baking bread, etc. I will miss our many ‘chats’. We extend our deepest condolences to her family. With the hope that your happy memories will comfort you at this time. Robert and family I was saddened to hear of your Moms passing.I have great memories of both your mom and dad,having worked with your dad and many visits with them through the years,I remember singing a few songs for them on their 50th anniversary.I always thought of your Mom as the definition of a lady,if you googled Lady your Moms photo should be there.She lived a long and well spent life,may they both rest in peace. Very sad to hear of Doreen’s passing. She will be missed by all who knew her. You are in my thoughts and prayers. Very sad to hear of Doreen’s passing. She will be missed by all who knew her. You are in my thoughte and prayers. I am very sorry to hear about your Mom. I enjoyed talking to her whenever we met – she always had great stories to tell. I greatly admired her. She will be missed. Our family was so sad to hear of Aunt Doreen’s passing. She held a special place in my heart. A true lady with whom I have many cherished memories. All 4 of us send you both our sincere condolences and lots of love. Condolances to the Parsons and Caines families. Remember Doreen Ches and Glenna when they visited Tom and Barb on Trinity Street. She lived a long life.May she Rest In Peace. We all have such happy memories of both your Mom and Dad as we know you all have as well. They were a wonderful couple. Thinking of you as you prepare to lay them to rest. Harvey, Ruth, Hiscock Courtney (Melindy) and Julie (Brace) . God Bless you all.